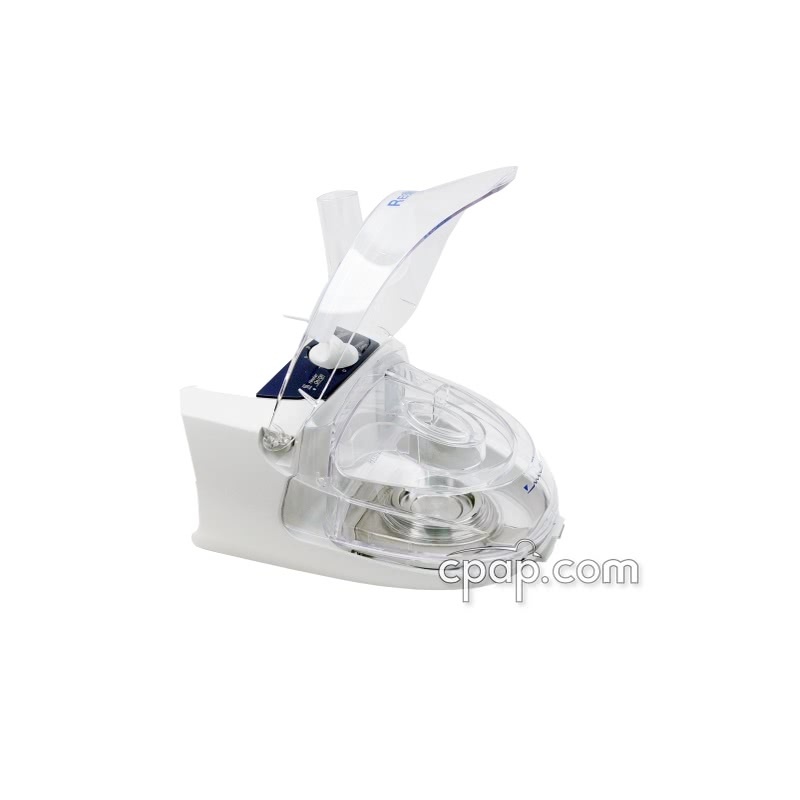 " Large capacity, perfect accessory for Resmed S8 Auto PAP. Full control of the amount of humidity. Easy fill, positive seals. " " This unit is a lot better that the one that came with the S7. Easy to refill. Easy to clean. " 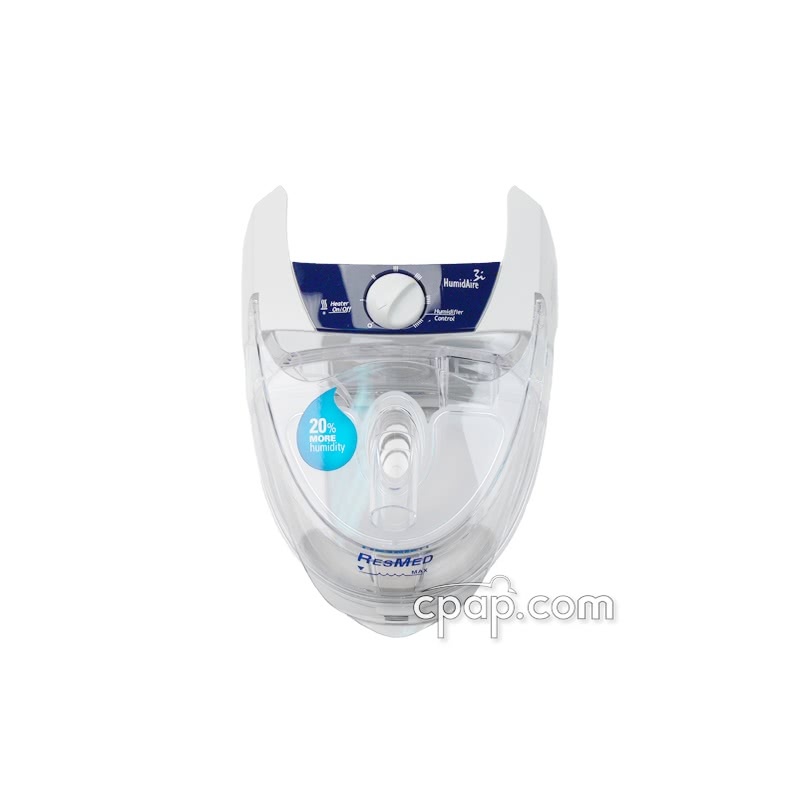 The HumidAire 3i™ Heated Humidifier from ResMed is intended for use with S8 Series CPAP Machines. Those suffering from dryness and congestion may find relief in the warm air. 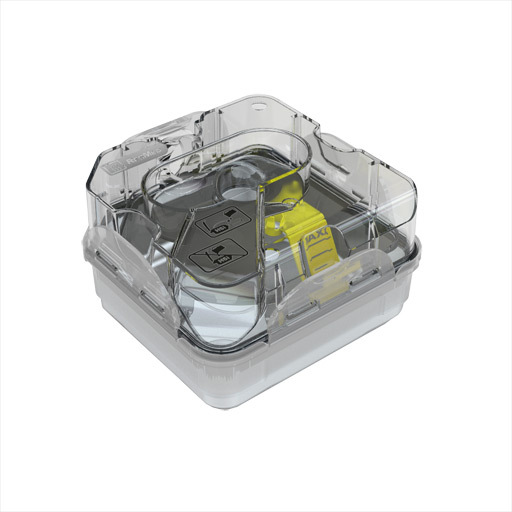 The HumidAire 3i™ is no longer manufactured or sold by ResMed in the United States. 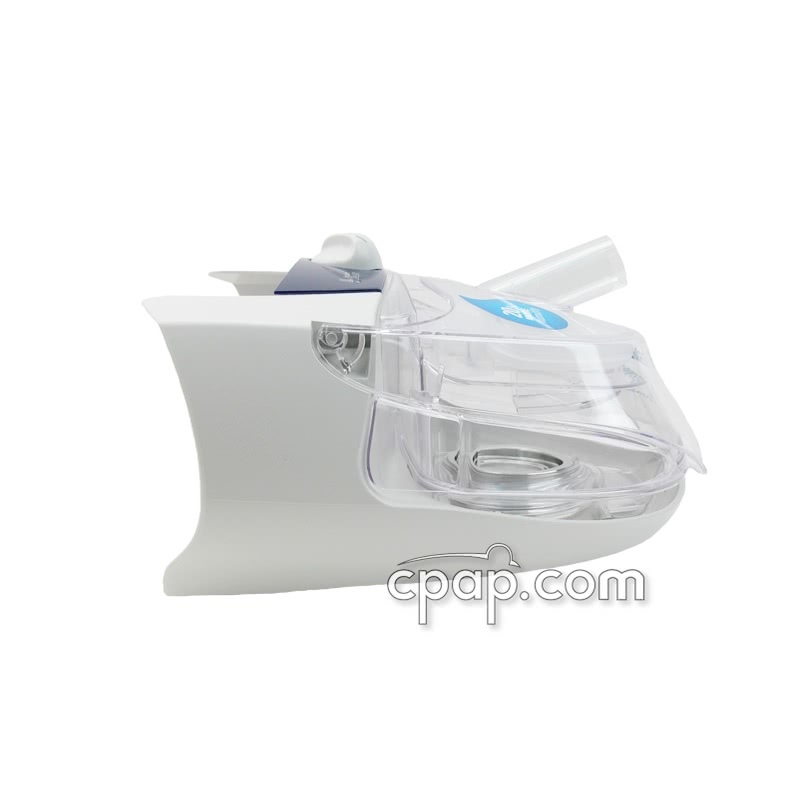 ResMed's HumidAire 3i™ Heated Humidifier directly connects to the S8 series CPAP Machine to transfer warm air from the water chamber to the user. Ease and efficiency were considered throughout the integrated design. 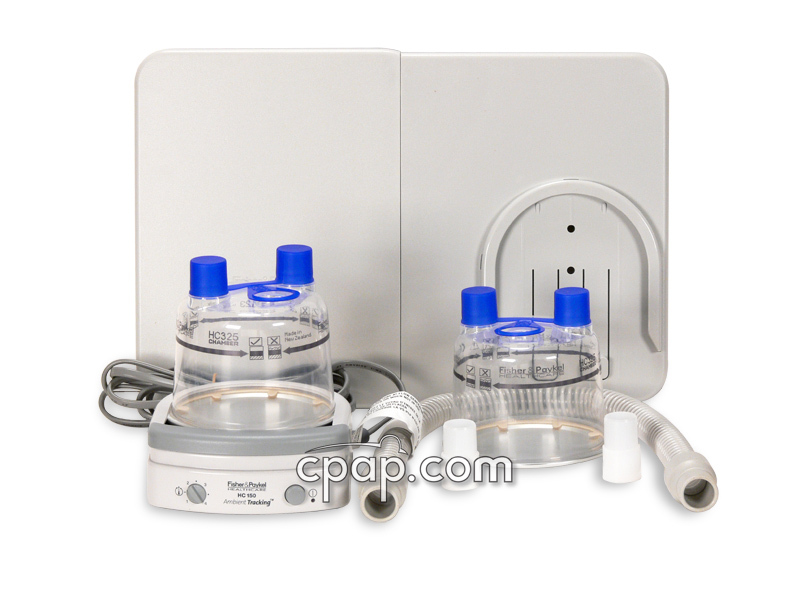 The HumidAire 3i™ has a flip top lid, which allows the user to fill the water chamber without removing the tubing. The dial on the H3i™ allows the user to easily control their machine. With use of the dial, the user does not even need lights to correctly identify actions. The touch of the dial impacts the user by providing warm air from the water chamber to the mask. This warm air may help relieve problems with dryness, nose and mouth irritation, and even congestion. 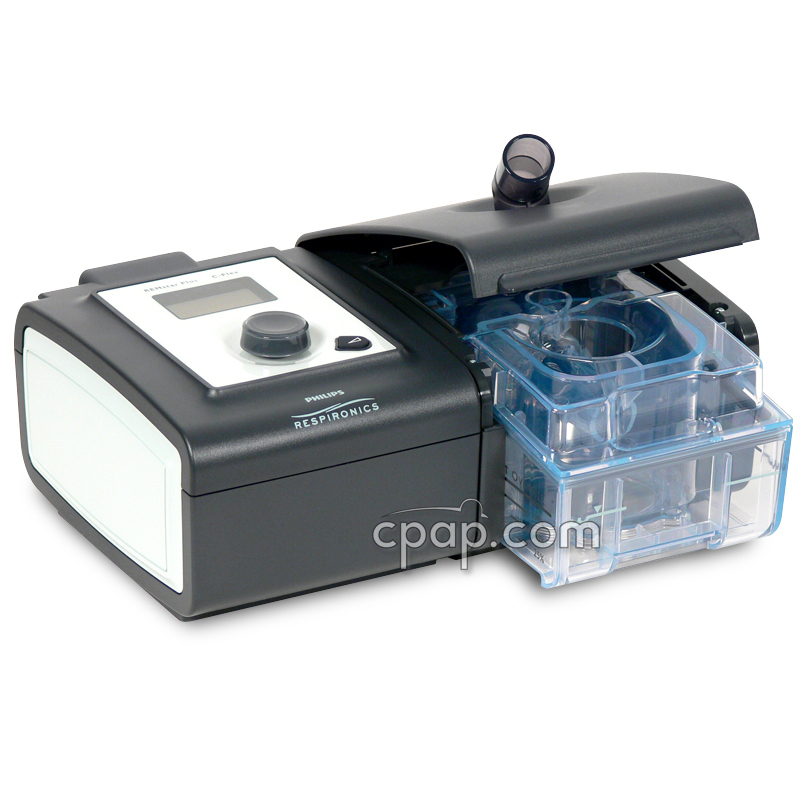 Intended for use with the ResMed S8 Series CPAP Machines, the H3i™ does not require additional outlets or power supplies. The integrated unit snaps together to create one piece, allowing the machine and the humidifier to operate on the same power supply. Being that the humidifier and machine connect to become one device, the footprint is minimal. In fact, the unit is both unobtrusive on the nightstand and easy to pack when traveling. The water chamber holds 385 mL of liquid, which is a significant volume. The more water the device can hold directly impacts the number of refills needed each time the machine and humidifier are used. With a higher volume, the customer may focus less on refilling their device each time it is used. Instantaneous peak power consumption <340 VA. Actual average power consumption will vary, depending on factors such as temperature setting, set pressure, the use of accessories, height above sea level and ambient temperature. Water chamber: Injection molded plastic, stainless steel. Product complies with all applicable electromagnetic compatibility requirements (EMC) according to IEC60601-1-2, for residential commercial and light industry environments. *Consult the medical department of the carrier before using on aircraft. This humidifier cannot be run off 12 volt power. If a machine is powered by 12 volts, the heated humidifier will not run. 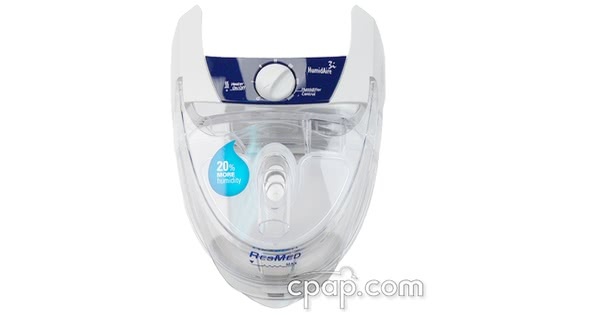 If a CPAP is powered by 110 or 220 volts it will power the heated humidifier. 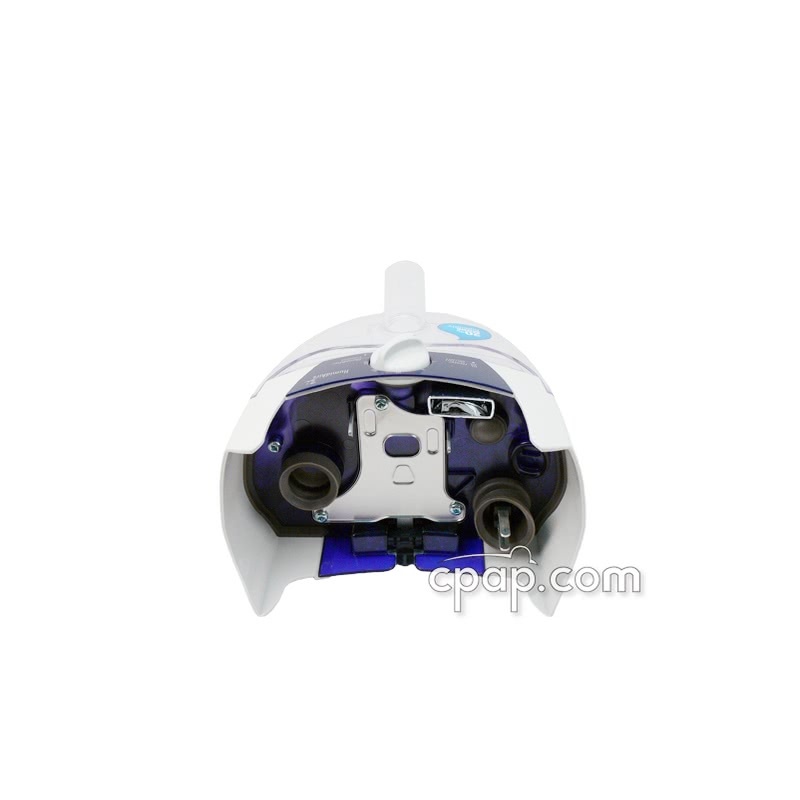 A 110 volt inverter hooked to a 12 volt battery can be used to power a machine and this humidifier.